I have been planning for a long time now, to make a quilt for my son. I have finally put it on my goal list for 2014, August for his birthday. I had purchased a Fat Quarter Bundle of Constellations a while back (March 2013 from Westwood arces), and made this cushion (the wonky universe) from it. That gave me the idea to make a quilt from the same fabric….but the question arose…..will I have enough with only having fat quarters?? It was a little late to start thinking about this, as now, the fabric was hard to find. Then, low and behold last month, Hawthorne Threads got more of it in stock – it’s not everything but it has the best of the prints. I bought 1/2 yards of everything they had. Here are the designs, I am choosing between for my son’s quilt. I am leaning towards the first one. This was one of my recent fabric purchases I had a defined use up front for, which is what I am trying to accomplish this year :-). Linking up with Molli Sparkles, for the first week of Sunday Stash in 2014. 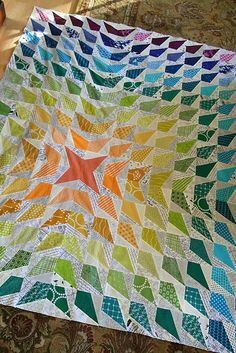 This entry was posted in Uncategorized and tagged constellations, fabric, Lizzie House Constellations, quilting, sewing, sunday stash, Week 1 2014 on January 4, 2014 by mlwilkie. Ooh, I love Constellations. 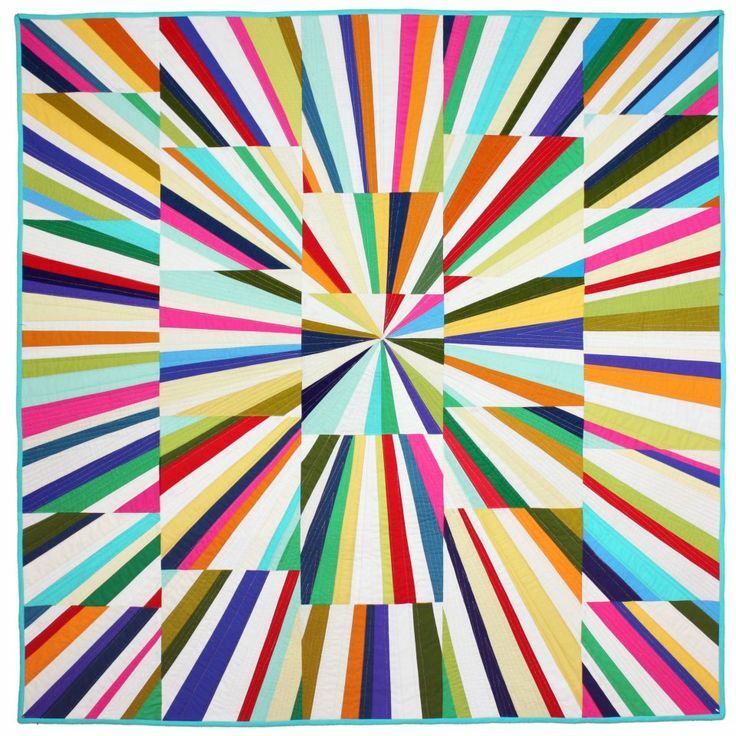 And I adore that quilt by Lee. So much loveliness! I love this collection and wish I had snatched some up when it was more readily available. My vote is for the Freshly Pieced design too. They’re both great, but I just love that design be Lee and think Constellations would be a great fit. Either way, I can’t wait to see the end result! I also vote for the first quilt! 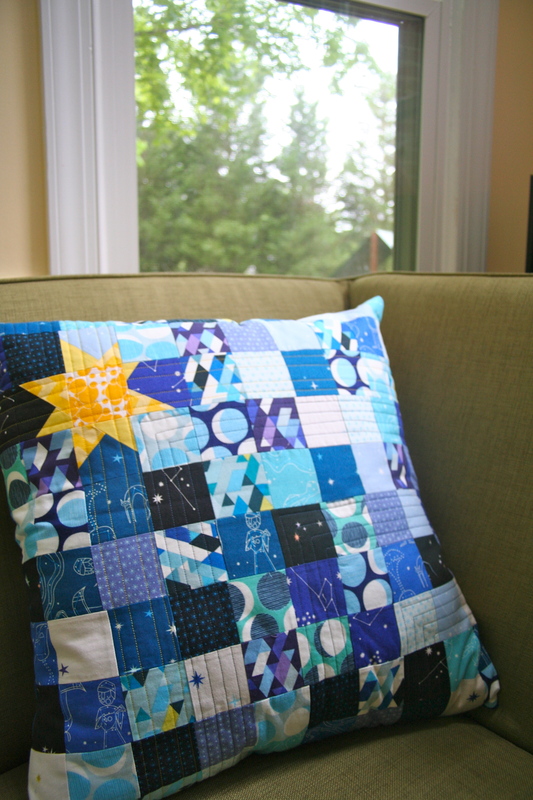 I think both quilts would make great use of Constellations. It’s such a fun line, isn’t it? The quilt from Freshly Pieced is one of my favourites I’ve seen all year, and I’m sure it would look lovely in Constellations. Whatever you decide I’m sure will be beautiful though. love love love constellations – such a great line. I’ve always loved your pillow, too, so it’s easy to see why you are doing this! LOVE the first quilt – even though I have the second one pinned too 🙂 Not much help here! 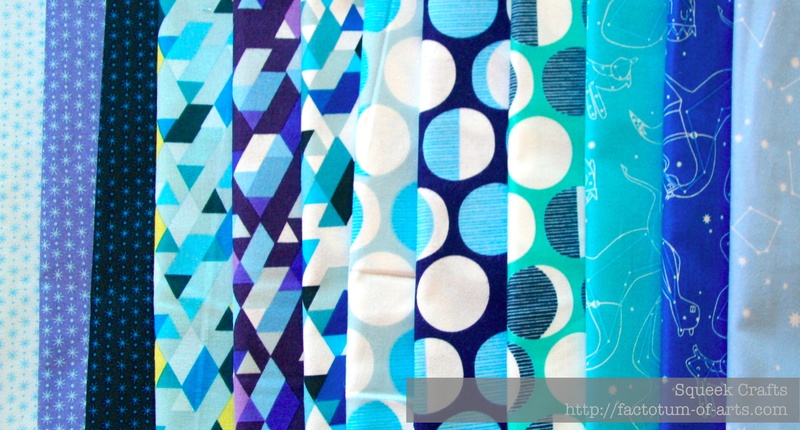 I’d go for the first quilt pattern but I’m sure whatever you use Constellations for it will be brilliant. A line of fabric I lusted after but never bought! I have a stash of Lizzy Houses fabric just waiting for the right project. I look forward to seeing how you use yours, though my vote is for Lee’s quilt. The second quilt is my favorite – the fireworks one, but I think the Lee quilt would fit the Constellations fabric a little better. You can’t go wrong either way! I love the first quilt – it seems to be a good fit for the pillow. Fabulous fabrics! I like the first quilt, and your suggestion in the comments with it going light to dark. Genius! Thanks I think it will have to be that first one too 🙂 Especially now I can visualize it, all I need to do now is transform it into reality (if only it was as simple as a button LOL).